Would you spend $8 per year to see your community reduce rates of obesity, heart disease, anxiety and asthma? Still not convinced? What if that investment also reduced energy costs and increased property values? Urban trees can transform city neighborhoods, contributing to a wide range of public health gains. Investing an additional $8 per person, on average, in planting and maintaining urban trees in American cities, could have a significant impact. Yet across the United States, cities are losing about 4 million trees per year. The humble street tree is an ecological powerhouse. Study after study has shown multiple benefits to people and society. Trees, and other urban green spaces, can help manage runoff during rainstorms. They help clean and cool the air, reducing harmful air pollutants and air temperatures on city streets. They lend beauty to our communities and increase property values. And time spent in natural environments has demonstrated mental health benefits. A new report, “Funding Trees for Health,” from The Nature Conservancy, The Trust for Public Land and Analysis Group, raises the concern that a combination of reduced budgets; the ravages of drought, storms, and pest infestations; and lack of investment is quickly stripping cities of the benefits that trees provide. The paper finds that a significant percentage of the gap between current funding for trees and the amount that cities spend today could be offset by the public health gains that city trees provide. Every year, between 3 and 4 million people around the world die as a result of outdoor air pollution and its lifelong impacts on human health. Urban trees can serve as pollution barriers and even filter the air. A 2016 analysis of average costs and impacts across nearly 250 major cities found that trees offer comparable benefit to traditional solutions, with the potential to save tens of thousands of lives. Now, Analysis Group’s research on major U.S. cities finds that that urban trees could account for $25 million in annual savings related to health care costs and lost work days from air pollution alone. While the situation varies city by city, our analysis demonstrates that a green urban future is not an impossible dream, and it’s affordable in most places if policymakers and others commit to making this critical investment. The paper offers several specific examples of innovative public sector partnership and private sector investments that highlight the full societal value of urban trees. However, municipal leaders in communities of all sizes can begin to address significant health challenges by thinking creatively about the role of nature in cities and towns. A range of complimentary solutions will be necessary, including changes to how building codes handle open space and incentivize trees on private property; efforts to break down municipal government silos so that parks and environmental departments are better positioned to collaborate with public health departments; and public education efforts to communicate the role that trees can play. Some cities are already leading efforts to prove the value of urban trees. For example, in Louisville, Kentucky, city leaders are partnering with the University of Kentucky Medical School and others to demonstrate the link between urban trees and cardiac health via the Green Heart Project. The project is a five-year urban laboratory that will plant as many as 8,000 trees in a neighborhood, then conduct a clinical trial to track their effect on the health of local residents. All cities, big or small, can begin exploring ways to create links between the health sector and urban forestry agencies. 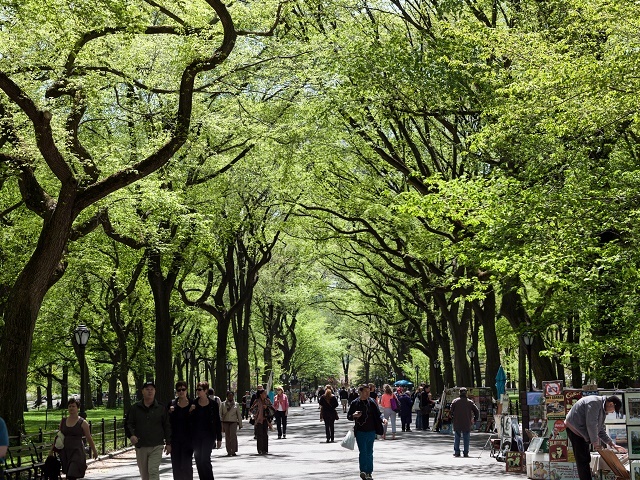 The key is connecting public health outcomes to urban trees. Communication and coordination between a city’s parks, forestry and public health departments can reveal new sources of funding for tree planting and maintenance. Working together, the health sector and the urban forestry sector can achieve a healthier, more verdant world.